Something huge is gathering in Franconia! Since their first storm warning in 2008, WINTERSTORM sent their heavy squalls made out of winter-like Folk and stormy Power Metal through the metal scene three times already. Starting with the grand and widely celebrated debut album “A coming Storm”, continuing with the even more enthralling “Kings Will Fall” and culminating in the hitherto climax in form of the concept album (and debut for Noise Art) “Cathyron”, WINTERSTORM easily made their name known, extravagating all genre borders. Shows on Wacken Open Air (2012), the Heidenfest tour (2013) or as support for Van Canto (2014) are only some of the live highlights in the band‘s history and confirm that WINTERSTORM have been an inherent part of the local scene for years. Fans had to be patient for over two years for WINTERSTORM to conjure the Nordic Gods again in order to put out another melodic, yet raging milestone in the band‘s history. “Cube Of Infinity” offers everything that fans and critics love about WINTERSTORM: great anthems, fantastic songwriting, and singer Alexander Schirmer‘s voice that is beyond comparison, but also plenty of intense, many-voiced singing. But “Cube Of Infinity” also shows that WINTERSTORM by far haven‘t reached the end of their journey. Once more, their highly diversified songs lure the listeners into a Fantasy World that becomes a thrilling adventure thanks to the high quality of the musical background. 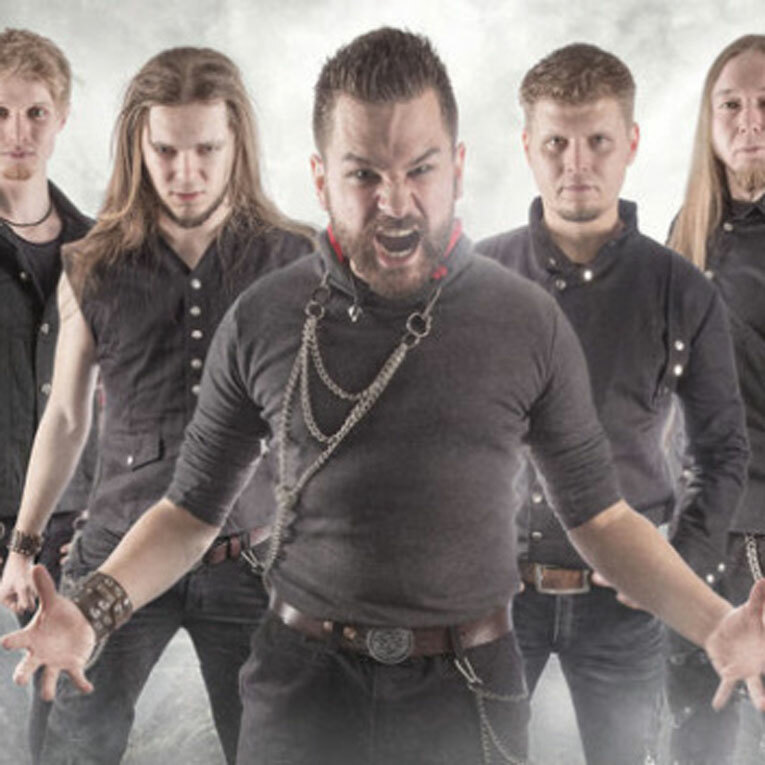 Catchy rhythms, enthralling melodies, and elating refrains make “Cube Of Infinity” a model of how Power Metal should sound in the year of 2016… that will fascinate not only fans of bands such as Blind Guardian, Rhapsody, and Orden Ogan. WINTERSTORM again skillfully succeed in uniting Folk elements and Power Metal to form a unique and kitsch-free mixture of their own.”Cube Of Infinity” is in schedule to offer a cooling summer storm in the heat of August, drying the sweat of fans all around the world with a huge portion of passion and fresh wind.